How Do Text Message Payments Work? SMS Pay is a straightforward process. The customer can pay by text message by sending a text message from their mobile phone to a number, known as a short code, assigned to your business. The payment is then added to the customer’s monthly phone bill or charged to a payment method on file (credit card, debit card, or bank account). 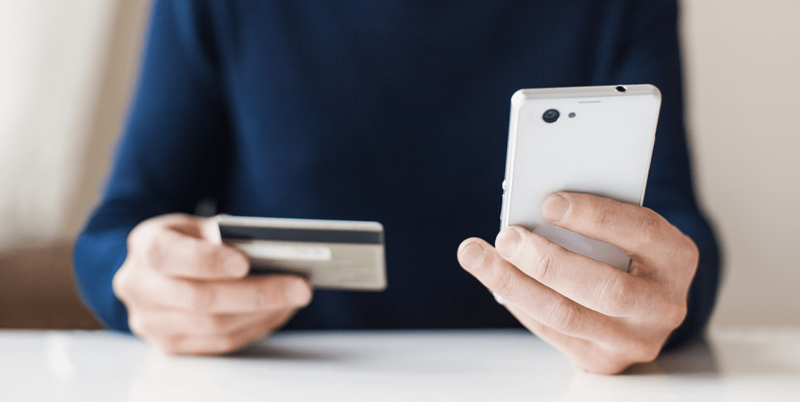 Integration of pay via text may require a third-party provider to connect the transactional data, bill, and payment processor. FSSI partners with Solutions by Text, a leading SMS provider that specializes in regulated industries, to create a streamlined and secure pass-through of data and authorization of customer payments. Have you ever seen or received an SMS Text Message donation request from a charitable organization? If so, then you’ve witnessed the power of pay via text first-hand. Many charities have used this payment service to raise funds for their cause. In fact, the Red Cross used text messaging services to raise $21 million dollars for Haiti relief efforts. There are four benefits of text message banking and mobile payments via text message. First, it increases on-time payments. This is because text messages have a 98% open rate meaning your customers won’t miss your billing reminder. Also, it removes friction from the payment process since all that is required is a simple text. This convenience helps with improving on-time payments too. Better Customer Experience: Second, It provides a more convenient customer experience. Customers prefer to receive text message alerts, over phone calls. It’s especially true with billing reminders. By matching their communication channel preferences, you will provide an overall positive experience that leads to repeat business and customer loyalty. Reduces Invoicing Costs. Text message invoicing removes the need for cash handling and materials required for printed statements. It reduces required staffing and postage costs which, in turn, means better profitability for the company. Provides Security. Secure processing across encrypted SMS Gateways make it difficult for someone to collect and use a customer’s account information for malicious reasons. This limits the incidence of fraud. With 95% of Americans owning a cell phone, more people are turning to their mobile phones for convenient solutions to their everyday needs. Whether it’s ordering food delivery, booking a doctor’s appointment, or shopping online, there is a mobile service that fulfills their need. This convenience now includes making bill payments online. Financial companies who provide mobile payment solutions (such as SMS Payments) will be able to capture this market of mobile users by providing a more convenient service to them. In turn, it improves on-time payments while still meeting regulatory requirements. Failing to do this will mean missing out on this mobile market, becoming less competitive, and being left behind by your rivals. A mobile payment solution should be a priority for every company in the financial industry. SMS Text Pay enables the financial industry to capture the large market of mobile banking and mobile payment users. It provides a convenient electronic payment solution, provides a more convenient customer experience, and is secure. This reduces billing costs, increases on-time payments, and limits fraud. FSSI is a full-service outsourcing company that specializes in delivering transactional and marketing communications for the financial industry. Our eStreamOne technology is a paperless bill payment and presentment solution that reduces print production costs, increase on-time payments and improves your customer’s experience. FSSI offers compliant text messaging services including account notifications, payment reminders, pay by text, SMS marketing promotions, and more. Learn more about FSSI’s Secure Text Message services as well as the other Text Message Banking Services we offer by contacting Dan Palmquist, VP of Sales, or call 714.436.3300.